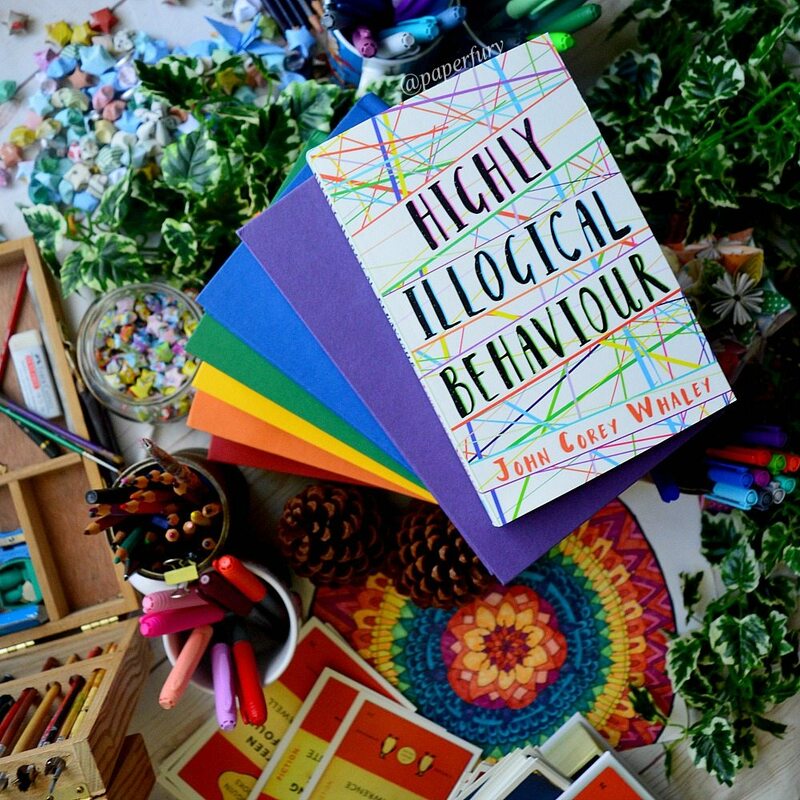 Highly Illogical Behaviour came highly (hahhhaha #ImHilarious) recommend and I’m so glad I tried it! But you know what? THIS BOOK WAS EXCELLENT. I’m so pleased with it! It was so fun and addictive and complex and IT DOES NOT INVOLVE A “CURE FOR ALL”. SOLOMON IS A PRECIOUS CINNAMON ROLL. The story is actually dual-narrated between him and Lisa (who’s #1 goal in life is to “fix” Solomon from his anxiety so she can write an epic essay about it and get into an epic college). And while I enjoyed Lisa’s chapters, I loved Solomon’s 10000 x more because, as I said, he is a preciously adorkable, funny, nerdy, and intelligent cinnamon roll. ACCURATE REPRESENTATION OF PANIC ATTACKS. Panic attacks are interesting creatures because they definitely differ from person to person. STILL. I thought these were very well written. This is how it always started. Everything would be fine and then a sudden sinking feeling would come over him, like his chest was going to cave in. He could feel his heart bumping up against his rib cage, wanting out, quickening with every beat and then radiating down his arms and up to his temples. It vibrated him, making everything he saw bounce around like the world was just photographs being flipped in front of him. And with everything around him muffled, but still noisy, all he could do was focus on breathing and close his eyes and count. THE WHOLE BOOK IS SO VERY NERDY. Like think of all the nerdiness you can think of…and multiple it by SIX. That is this book. Solomon is obsessed with Star Trek (bless him) and board games (which he enjoys playing with his parents) and watching TV shows (this dude is so relatable). FRIENDSHIP IS THE FOCUS. Isn’t that wonderful? Can we shed tears of pure joy right now?! There is romance here, but mostly between Lisa and her boyfriend Clark. Solomon is gay and things do get angsty and border-line-triangle-shaped when he has a crush on Clark. So while I was mildly disappointed the last romantically-angsty 30% of the book was ALL THE ANGST, it wasn’t tedious. I adored how Lisa, Solomon and Clark just become epic nerdy bantering friends. CLARK, TOO, IS AMAZING. He’s introduced in a sort of jock-boyfriend stance but nooooooo, HE’S 100% A NERDY DORK TOO. I adore the way he and Solomon become friends. And remember this is a huge deal for Solomon, who hasn’t even spoken to people in 3+ years, and now he has Lisa and Clark. Board game appreciation! This is cool okay?! They play chess, Skip-Bo, Canasta…LIKE THIS IS THE SONG OF MY PEOPLE. The writing is a brilliant mix of quirk and seriousness.Which is super hard to pull off. At times I got worried it was delving into “I am a quirky basket of rainbow lolz” which is the style of writing I detest. BUT NO! It managed to keep the fun tone plus add in serious and poignant moments. I FELT VERY UNSYMPATHETIC TOWARDS LISA. She was, essentially, using Solomon to try and get her top marks for this essay. It’s a bit of a cliche storyline, honestly, and you knoooooooooooow it won’t end well. IT NEVER ENDS WELL. But I couldn’t fully relate to Lisa because she was … a jerk. SO MUCH ROMANTIC ANGST. Like I said, it mostly keeps things awesome, but then the friendship storyline gets all splintery while (A) Lisa makes dumb assumptions, (B) the boys go radio silent treatment which is just immature, (C) NO ONE COMMUNICATES, and (D) a lot less Star Trek is watched. What is this life. THE PACING WAS FAST. The book doesn’t even hit 300-pages, so I get that! It moved quickly! But for someone who hasn’t spoken to other people (outside his family) for 3+ years and suddenly has a meeting with Lisa….they were way less awkward than I would’ve imagined. Plus it kind of bothered me that, once Solomon had friends, all he could do was THINK ABOUT HIS AWESOME FRIENDS. Like, they were great! Good times! But it always bothers me when a person can’t be a person on their own. And my recommendations are always golden, so don’t even doubt me. Just go read it. This book is short, sassy, pays tribute to Star Trek, and is not about swallowing rainbows or “fixing” yourself to please other people. Plus there was nerdom and pizza, I mean, WHAT IS NOT TO LOVE HERE. THANK YOU TO ALLEN & UNWIN FOR THE REVIEW COPY. 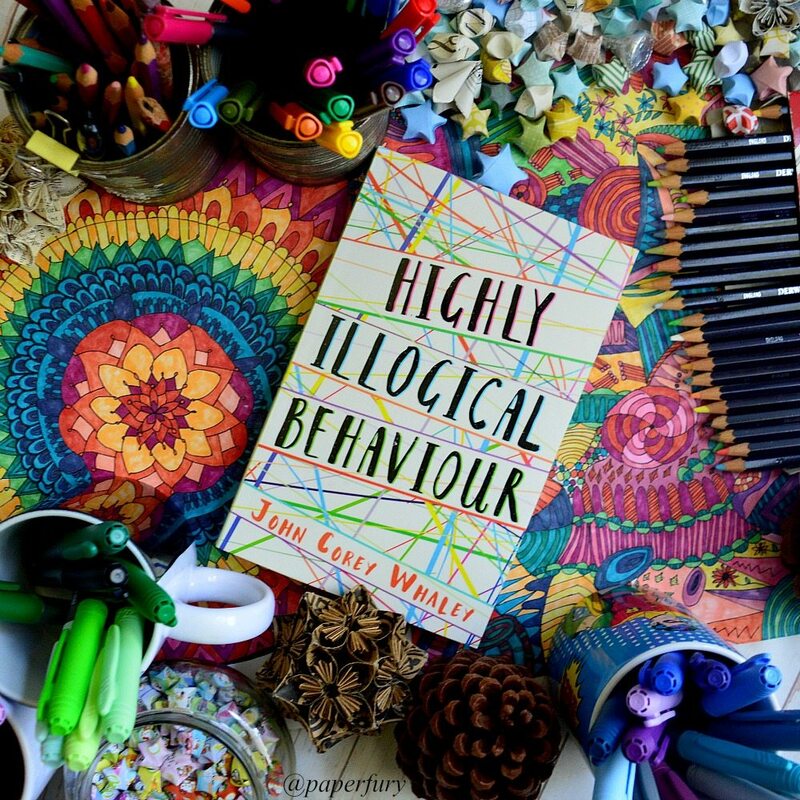 Highly Illogical Behaviour by John Corey Whaley was published August, 2016. When Lisa finds out about Solomon’s solitary existence, she comes up with a plan sure to net her a scholarship: Befriend Solomon. Treat his condition. And write a paper on her findings. To earn Solomon’s trust, Lisa begins letting him into her life, introducing him to her boyfriend Clark, and telling him her secrets. Soon, Solomon begins to open up and expand his universe. But all three teens have grown uncomfortably close, and when their facades fall down, their friendships threaten to collapse, as well. 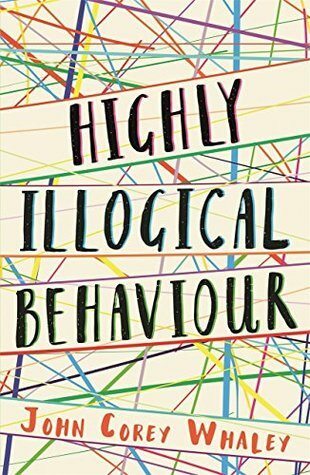 do you often read/like books about social anxiety? (any favourites to recommend??) and do you play board games because please tell me you do and agree with me that board games need more representation in books because they’re awesome. also DEFINITELY share your thoughts on this book!! i need to discuss!! Previous Post: « Do You Give Authors’ Works Second Chances? ooooohhh this sounds really good! How did you do that book floating thing? (or is it a well kept secret that I should just be in awe of?) I guess I’m interested in how to find a balance between ‘treating’ a condition and it improving. ’tis very important *nods sagely* Also love triangle angst just sounds really really bad. And board games=my thing. Like Settlers and cranium and a lllll the other board games I can’t think of right now. (even connect four, although I normally lose. *cries* (and btw sorry about the star thing. We must have been thinking in sync. :D) this kind of sounds like love shy? or maybe it’s just me. And Lisa= stop using people you idiot. OMG DON’T BE SORRY ABOUT THE STAR THING!! I loved your tutorial. 😉 I won’t post mine for several weeks so I don’t steal your thunder! Exactly! I love characters who are complex and don’t fit into stereotypes. IT’S AWESOME. THIS BOOK IS AWESOME. ALL THE AWESOME. Normally I can’t even with books about social anxiety because IT FEELS TOO REAL AND CRIPPLING AND UGHH – I don’t even like talking about it. BUT I’m going to try reading this one! It sounds good, like REALLY GOOD and I’ve just placed my order. SO BEWARE MY FLAILING ON TWITTER WHEN IT ARRIVES. Great review as always, Cait and OMGGGG your pictures are just lovely! Oooh, tut tut to cheating little brother chess players. Actually my 5yo nephew plays with me and cheats ALL THE TIME. Apparently prawns can move like as many squares forward as they like. Who knew. SOMETIMES I DON’T USE GIFS AND I DON’T KNOW WHAT TO DO WITH MYSELF OR HOW TO FEEL. Board games definitely need more representation in books! They were such a big part of people’s lives until recently, and for a lot of people, they still are. So, down with the haters on that! Arrgh!! This sounds SO good! And I love that it didn’t just end up being a “OMG. wow. love totes cured all my probz!” kind of book. So glad about that. Yawn for love being a cure for mental health problems! I’ll being picking this one up for sure! On my TBR list now. I loved Fangirl because of her portrayal of social anxiety. I’m excited to read this… and even more now since I know you loved it!! Beautiful pictures as always!! So glad you enjoyed this book so much, Cait! I recently read it, and loved it for all these reasons you quoted, but before anything, because it was REALISTIC. I liked how realistic Solomon felt, and his panic attacks, well… I could relate to these. And no cure for all, YES PLEASE. I have to admit though that it was FAST, like, I could have read this in one sitting, and it’s both a good, and a bad thing I guess? I’m not even sure of myself on that one. And yes, LISA. It did took me A LOT of time to grown fond of her, but I eventually did. But yes, she was kind of annoying, I admit it. I love love love boardgames! My favorite go-to activity! The past year I’ve learned so many new games and it’s been super-duper fun! Yay! 😀 I like all sorts of games; Dominion, Jaipur, Small World, Fluxx etc. Also, I’ve learned Magic the Gathering! Yay! Ahhhh, I NEED TO READ THIS BOOK. BUT THIS LOOKS GOOD. And as a person who’s just about to start watching Star Trek (yay me! ), this may be a good read!! Oh yes, mental health books are totally hit or miss for me too. Like some of my FAVOURITE books of ever deal wonderfully with it…but others just mangle it so bad they give me anxiety. GAH. But this is solidly in the “GOOD” category. YES YES SO DO I. IT’S SO GOOD. *hugs this book* And like Solomon wasn’t always unhappy either? Which was super nice. People with anxiety don’t necessarily live horrible lives all the time and I’m SO GLAD the book acknowledged this! I started liking social anxiety weirdness after the perks of being a wallflower. ( most enduring ya I’ve ever read) it sounds really fun and I like phobias. although I wouldn’t FREAK out as much on the whole cure thing. I mean I’ve read books which have made me feel dhcjcjcjdjdjd. I don’t think this will be one of them. it sounds different. I’m kinda tired of teen distress. Yaaay, I’m so glad this book is awesome! I’ve been really looking forward to it! But also steering clear of it, because anxiety and I was diagnosed with anxiety a couple of months back, and I’m not sure I’m ready. I mean, I read one book, and it was awesome and helpful… but I also struggled to not start panicking when the main character had a panic attack. So that really makes me nervous. But I will read it! I just feel like I need to start CBT before I risk it. (First session this Friday!) But I am SO happy it’s good! It sounds so brilliant! Awesome review, Cait! A book about mental illness where friendship is the focus? I HAVE TO HAVE IT!! I wasn’t entirely sure about this one either, but after reading your review, I MUST HAVE IT! YES YES, ISN’T IT GLORIOUS?!? Like this is how mental illness books should be honestly, because all this first-time-romance + struggling with mental health is often not portrayed really well. Awesome review! I haven’t read this book, but will make sure to pick it up. Love the pictures! I’ve been wondering about this book! The cover is quite intriguing; I have a hard time saying “no” to all those beautiful colors! Glad to know it’s interesting on the inside, as well. Great review! I can never say no to a pretty cover either.😂 I JUST WANT TO READ THEM ALL. I’m glad to hear this book is good! I’ve been avoiding it because synopsis makes it sound like it was going to be a total Finding Aubrey-type situation again, and I was (and am) in no place or mood to deal with another book like that right now. AND it made me mad at the author, who I’ve met before and seemed super nice but to write a book about “fixing” mental illness kind of puts you in jerk territory. But now…I might just pick it up. And I’m not mad at the author anymore, which is good. Even if it was kind of unfair of me since I hadn’t actually read it. I think the blurb shouldn’t have been pitched that way, honestly. It’s very off putting! I haven’t really read any books about social anxiety. I don’t know if they’d bother me, even though I am kind of socially anxious (it’s pretty mild, though). But I can understand wanting to be careful about a topic that’s really close to your own experience. 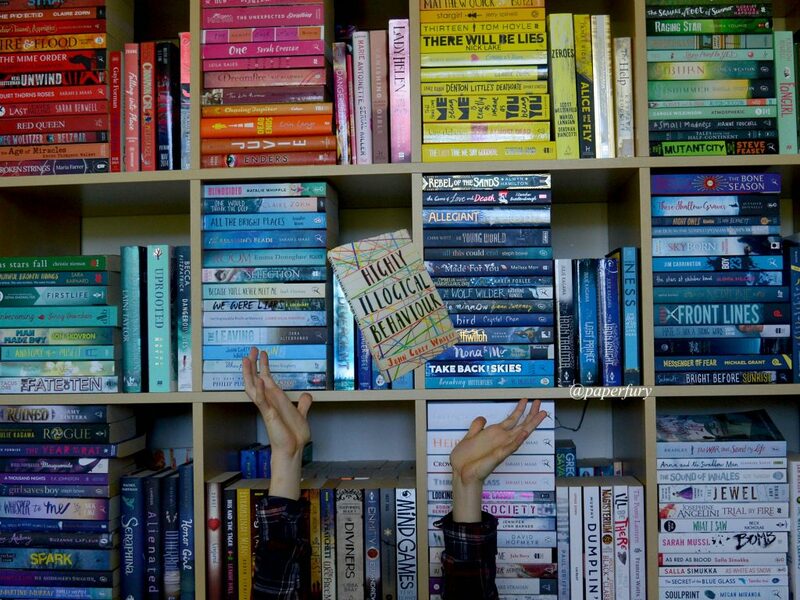 I avoid books about OCD for that reason. Monopoly is awesome but I haven’t played it in forever too!! My 5yo nephew is a big of a games fanatic too, so we play Connect Four and snakes and ladders a LOT. But I love Sequence and Cluedo and Chess! A nerd with severe anxiety. Now that is someone I can relate to. Friendship is EPIC in books, and I think it’s kind of important for the teenage years?!? So yuuuus, it’s great when the focus is on that and not just the romance.😂 I mean, there’s definitely romance and crushes and angst still here, but I do like that they start off as friends. IT IS SUCH A GOOD BOOK HONESTLY. I read this book not so long ago, and LOVED IT TOO. Although it’s not breaking any barriers of literary genius, I love the simple, homely concept and get along so well with all the characters (minus Lisa, she just served to INFURIATE me). THE ADVENTURE TIME CHESS SET IS SOMETHING I FEEL LIKE I NEED IN MY LIFE *praises John Corey Whaley*. 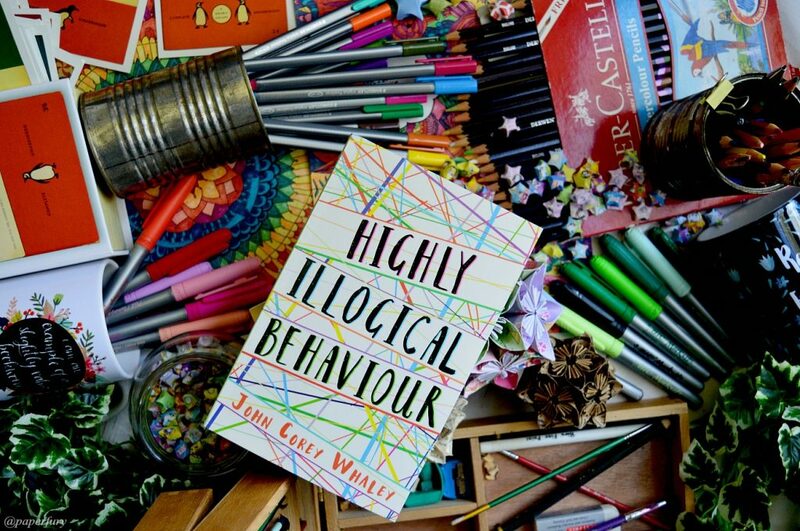 I agree with you too about the fact that this book is such an accurate and unassuming coverage of mental health/anxiety, and I love it for that. It has no bells and whistles, no bravado, but it’s projection of issues is great. Definitely agreed!! 😂 I mean, it’s not a book I will quote on my walls or anything, but I STILL LOVED IT AND THOUGHT IT WAS ENTIRELY WELL DONE. Lisa needed to nope though. All that conclusion jumping she did was really irritating too. Like, sure, talk to your best friend about your boyfriend instead of, like, TALKING TO HIM ABOUT HIS REASONINGS. Hmm. This sounds so good! As a person who struggles with anxiety and panic attacks, it’s hard to find a book that actually represents it accurately. I’m really glad you enjoyed this and found it realistic. I’m gonna have to pick it up sometime and see what I think! SAME. Like I’ve read a few anxiety books and they sort of scare me because they can also trigger my own anxiety, if that makes sense. (Somehow reading about it is anxious inducing?!?) But this one was accurate AND didn’t have me panicking. So win! Ooh, I want more books on social anxiety! In my school the break room is called the “agora”. It’s where every one of the students in our school fit in to in order to eat and socialise and spend their break wisely. However a small group of friends and I had set up camp in the back stairs (far, far removed from the agora) and just seeing the word agoraphobia just reminded me of that. I have a book that I’ve read that does dabble with social anxiety in the sense that one of the main characters has social anxiety but it’s kept very humdrum and not labelled as such. I know that there’s such a huge variety when it comes to people with social anxiety and how they behave, and this guy doesn’t have a serious case of social anxiety but it’s very close to how I get when it comes to talking to people and being out there which is why I liked the portrayal of it so much. The book itself is alright, but it’s that portrayal that got to me, honestly. Is it just me or are there one too many newly published books with the same or at least similar cover design? Yesss I love mental health books, particularly ones about anxiety and aren’t just about curing (with romance!) and it’s great to hear that the character gets lots of support from others. This is a lovely balanced review Cait! For shame. I’m surprised you don’t have part of your bullet journal dedicated to lists of YA contemporaries?!? I think I’ll have to add this one to my TBR! I feel like I’m seriously lacking in reading material that addresses topics that don’t involve either riding or slaying dragons. True story. But this book sounds like a good place to go. I may or may not have been semi-sold on the fact that there is BOARD GAME APPRECIATION! I recently learnt how to play Skip-Bo and oh my goodness gracious me is it additive. I think the next stop is a store that sells both books and board games so I can stock up for potential spontaneous hibernation, *nods*.